A new report from the Institute of Cancer Research (ICR) has indicated that NHS patients in the UK are suffering delays in accessing new cancer drugs, while there is a significant discrepancy in the number of new drugs being developed across all cancer subtypes since the turn of the century. From patent to patient – analysing access to innovative cancer drugs assessed all 97 cancer drugs approved by the European Medicines Agency between 2000 and 2016 in 177 indications. It found that cancer drugs are securing approval at almost twice the rate as a decade earlier, with 7.5 indications a year between 2000 and 2008, and 14.6 indications a year between 2009 and 2016. However, the time it takes a therapy to move from the moment it is patented to when it receives approval from NICE for use on the NHS has increased from 12.7 years from 2000 to 2008, to 14.1 years from 2009 to 2016. Because smaller, more targeted trials can recruit participants based on their and their tumour’s genetic profile, these findings go against the ICR’s expectations, suggesting efforts to accelerate the access of drugs on the NHS is not working, despite NICE often commencing appraisals even before a drug has been fully licensed. The study also found that the journey of a drug from the start of Phase 1 trials until EMA approval has grown to 9.1 years from 2009 to 2016, compared to 7.8 years between 2000 and 2008, suggesting that it is during clinical testing and the licensing process where these delays are occurring. Furthermore, NICE is failing to deliver its appraisals more rapidly, as promised, with drugs undergoing review just 0.7 months more quickly between 2009 and 2016 than the 16.7 months it took between 2000 and 2008. It was also discovered that 64 of the 177 approved indications were in blood cancers and 15 were in breast cancer, but cancer of the brain, bladder, oesophagus or womb saw no new indicated drugs over the same period. Lung cancer saw just one approval, while only 10 were for indicated for use in children, and only two of these were for solid tumours, which account for 60% of childhood cancers. 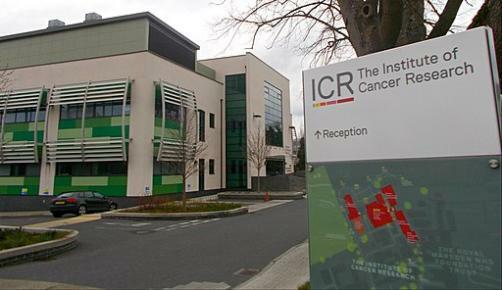 On the basis of these findings, the ICR is now calling for discourse and action between Government, regulators and pharma to draw from best practice to streamline regulation and accelerate the appraisal of cancer drugs. “Our analysis gives us a vivid picture of the state of the nation in cancer drug discovery, development, licensing and appraisal,” explained Professor Paul Workman, ICR Chief Executive. “It’s great news that the incredible scientific advances we have seen over the last decade are fuelling an increase in the rate of drug discovery and development, but it’s clear that we need to do so much more to get innovative new treatments to patients. “The future of cancer drug development lies in smaller, smarter, streamlined clinical trials, so it is frustrating to see the journey to patients slowing down when it should be speeding up. We need to address the regulatory barriers in setting up and running clinical trials, and in getting drugs licensed at as early a stage as possible. We need academia to play a leadership role in encouraging drug companies to bring forward new models of trials as quickly as possible. Dr Olivia Rossanese, Head of Therapeutics Biology at the ICR, also remarked: “For some cancers, we are in an exciting new era of precision medicine – made possible by fantastic progress in discovering exciting new targeted medicines. But we have seen far less progress against many other tumour types, and much less progress in children than in adults.